Belgaum, the Bamboo Village or Belagavi as it is officially known, is a quiet place that rests in the foothills of the Western Ghats. 502 km from Bangalore and 154 km from Panaji, Belgaum enjoys a stable cool climate with the serenity of nature surrounding it in the form of mountains, rivers, and lush green forests. Ideal for groups visits with college-mates and colleagues; Belgaum is also a great honeymoon spot for couples. The months where one can extract the most out of the Belgaum experience would be February, November, and December. The average tourist spends about 2-3 days exploring the various attraction spots at Belgaum. It boasts of a lot of mosques, churches, and historically enriched sites. The months where one can extract the most out of the Belgaum experience would be February, November and December. The average tourist spends about 2-3 days exploring the various attraction spots at Belgaum. It boasts of a great deal of mosques, churches, and historically enriched sites. It is a colossal structure in the centre of the town. The fort is a grand example of religious unification in the days of yore and also of a heritage that was built upon by kings of many successive generations. At the entrance are two shrines of Durga and Ganapati coexisting with the mosques in the vicinity. One of the oldest forts in Karnataka, it has had the duty of protecting the state from many invaders. 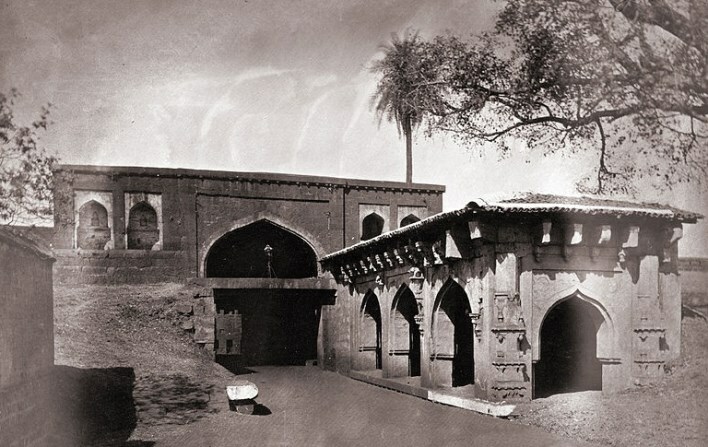 The Deccan, Indo-Sarcenic and the Chalukyan styles of architecture can be spotted in the arches, domes and gateways of the fort. There is paid entry at the fort and no pets are allowed in. It is open on all days from 8:00 am to 6:30 pm. 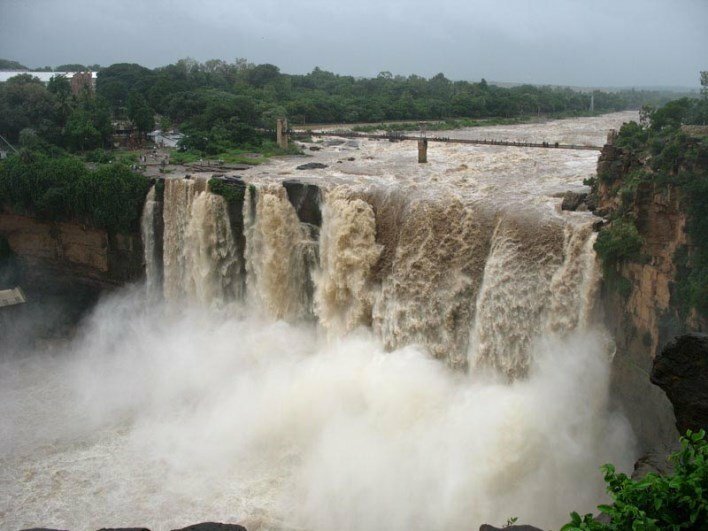 The Gokak Falls are among the top attractions in Belgaum. The raging waters gushing over the gorge is a sight to behold. Chalukyan era monuments are found on either side of the mountaineous gorge. Another spot to look out near the falls is the Chalukyan style temple facing the river, dedicated to Lord Mahalingeshwara. Best time to pay a visit to the falls is between July and October. Swami Vivekananda stayed at the Ramakrishna Ashram for 12 days during his travels around India in 1892. The entire monument has been renovated and there has been a temple built in dedication to Ramakrishna Paramahansa. The ashram is a good retreat for meditation and spiritual bonding outside the hustle-bustle of the city. It is open on all seven days from 7am-7pm. One of the oldest temples of Karnataka which is also known by the name of “Dakshina Kashi”. It is one of the temples that pilgrims have to visit to be able to complete the 12 Jyotirlingas pilgrimage. There are interesting stories around the temple. One among them is how the linga originated in Belgaum itself. Shrines of Ganapati, Saibaba, shrine of the Navagraha or nine planets are housed in the temple. There is huge footfall during the Mahashivratri festival and during the Shraavan maas of the Hindu calendar. The Kittur palace and fort are the perfect spot for history enthusiasts and archaeology buffs to visit when in Belgaum. The story of Rani Chennamma runs along the fort walls as one of the valiant rulers of the fort and a fierce woman warrior who revolted against the British. Nathapanthi matha, temples of Maruti (inside the fort), Kalmeshwara, Dyamavva and Basavanna are the main attractions inside the temple. The almost ruined fort is presently under the care of Karnataka state department of archaeology. A museum of archaeology has been established here with gems and relics from history. Time to visit another folktale of Belgaum! Rakaskop or village of the demon is located 16 km from Belgaum. The tourists will encounter a huge cave in the shape of a human figure in sitting position. It serves as ‘evidence’ of the existence of a demon who lived in the village in the times of yore. The river Markandeya flows nearby providing a scenic value to the location. Longing for picnics on your trips? Belgaum offers just the place with Navilthirtha. A valley between two hills with a lush green cover and amazing ambience, Navilthirtha is frequented by peacocks who add to its charm. There are many hotspots left to visit, among them an array of temples like Sri Human Temple, Mahadev temple, Masanai temple, Sri Brahmalingeshwara temple, Shiv temple Kakti and then mosques like Safa mosque and Abubakar Siddique Masjid. Belguam Airport is at Sambra, located 10km from the city on SH20. There are flights from Bangalore,Mangalore and Mysore. Buses ply connecting Bangalore, Mangalore and other major places of Karnataka to Belgaum. The Belgaum station is located on the south-western division of the main Indian railway’s line. It connects Bangalore, Mysore, Mangalore, and Mysore. Belgaum railway station is considered as the oldest railway station in the south-western region.